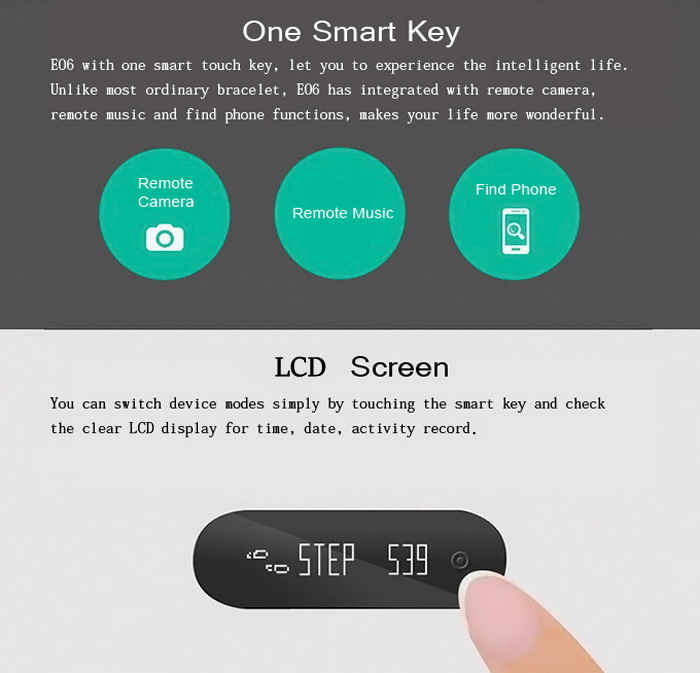 One key takes you to experience intelligent life! 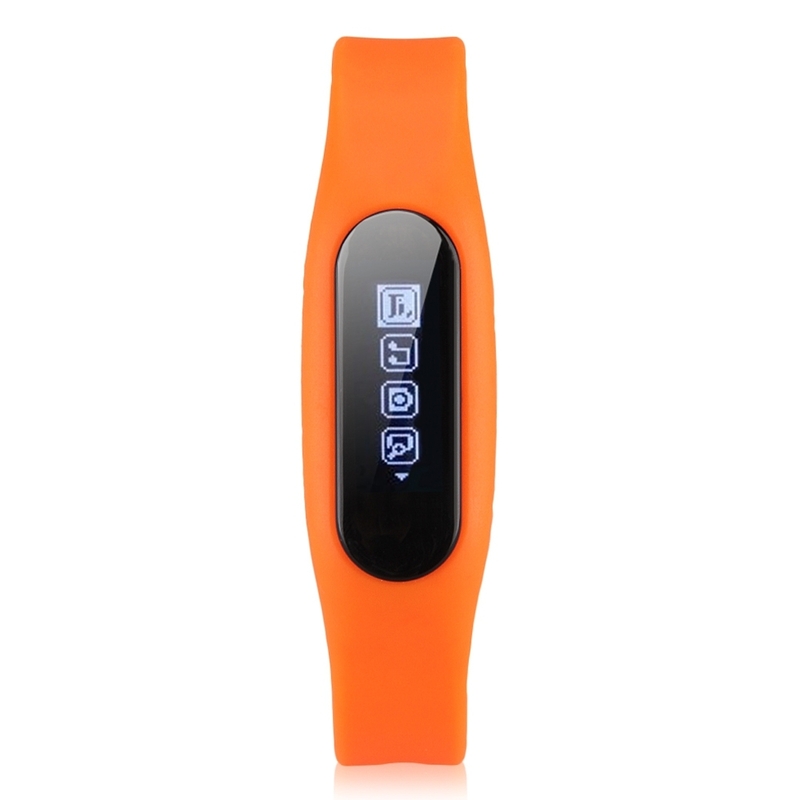 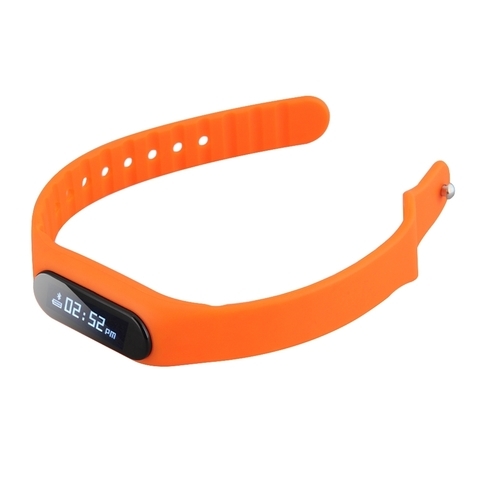 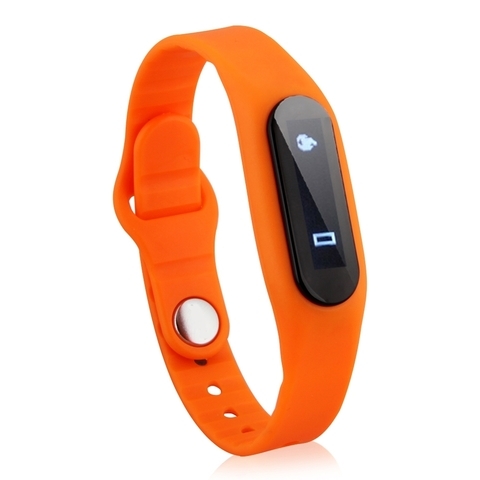 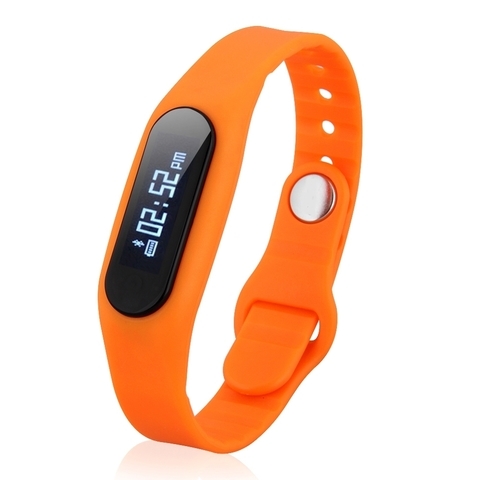 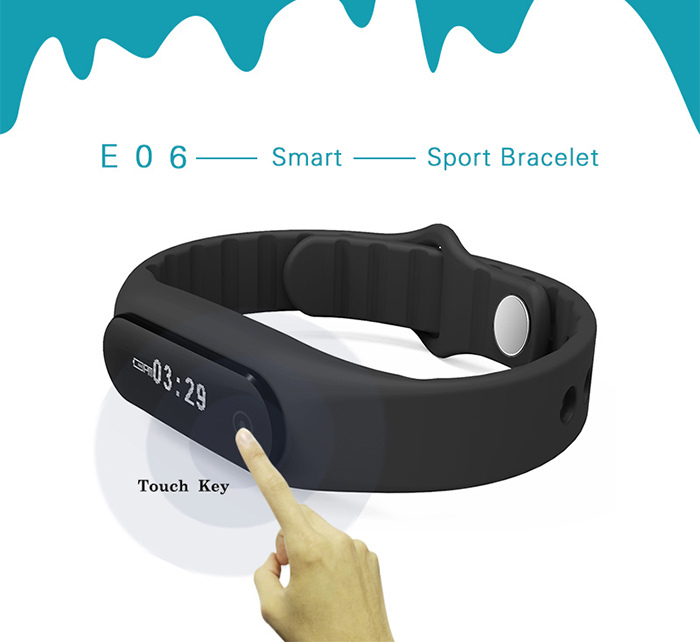 E06 smart wristband watch, just with one smart touch key, let you experience a different sense of intelligent touching. 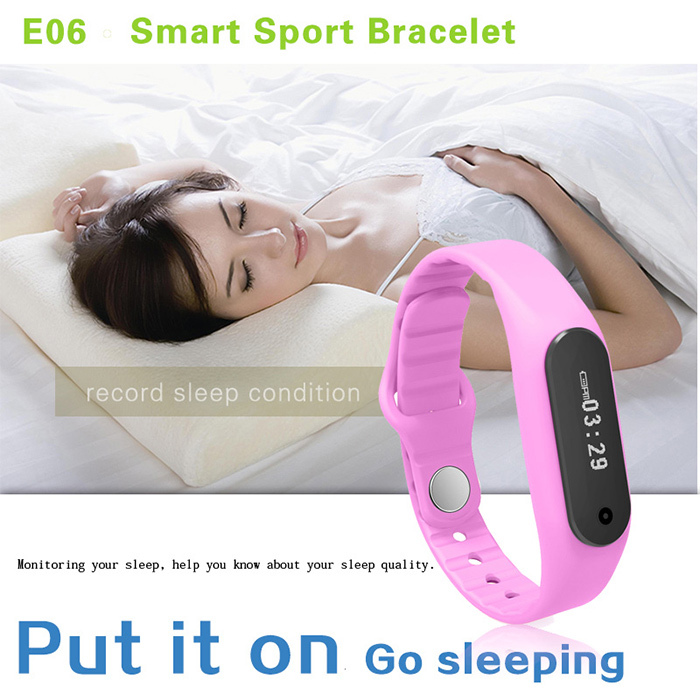 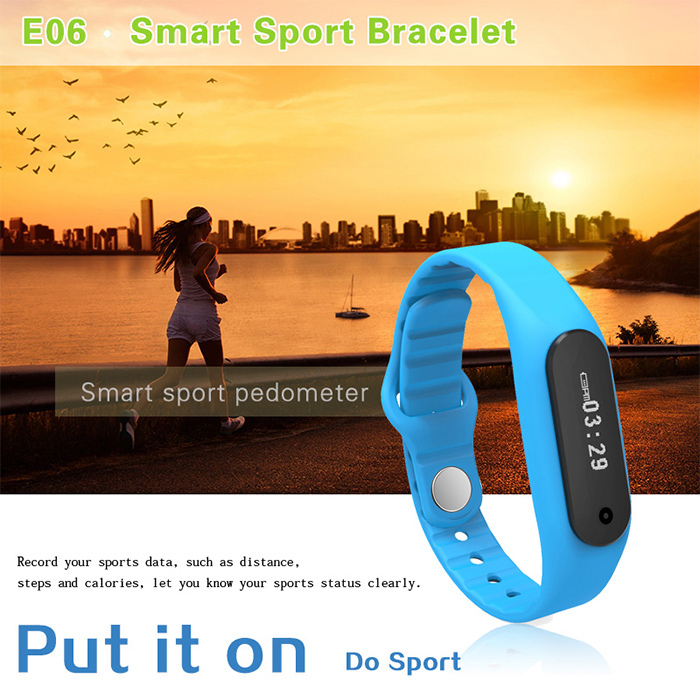 Unlike most ordinary bracelet, E06 has integrated with many functions: Remote camera, remote music, find phone, sports and sleep tracker, date and time display etc., can fully meet your daily needs and give you smart experience. 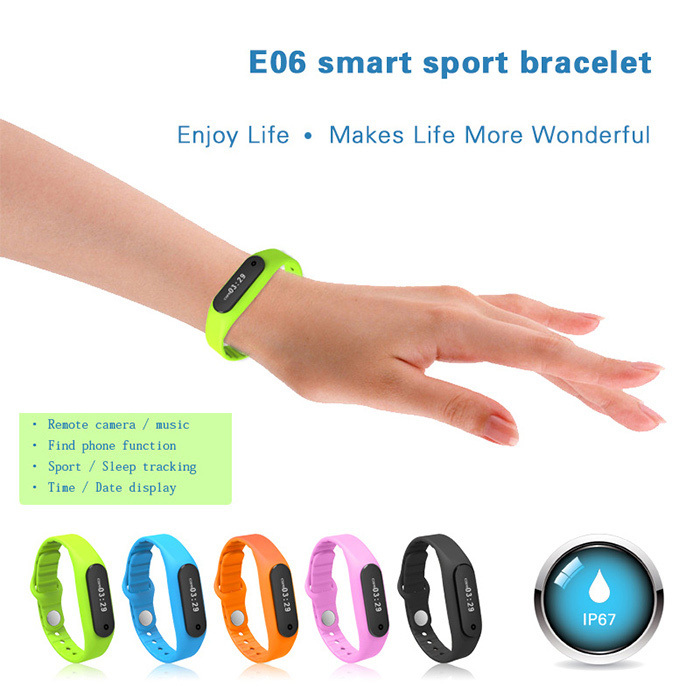 E06, you deserve to have it. â€¢ Remote camera / music: E06 can control your smart phone to take photos and play music. 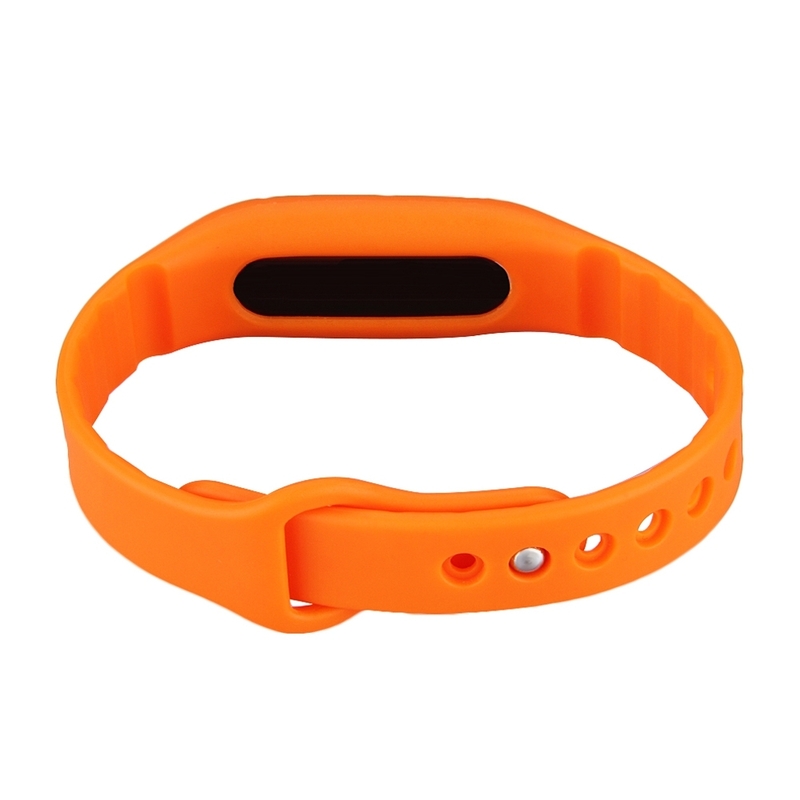 â€¢ Find phone: help you find your smart phone, you will never miss it. 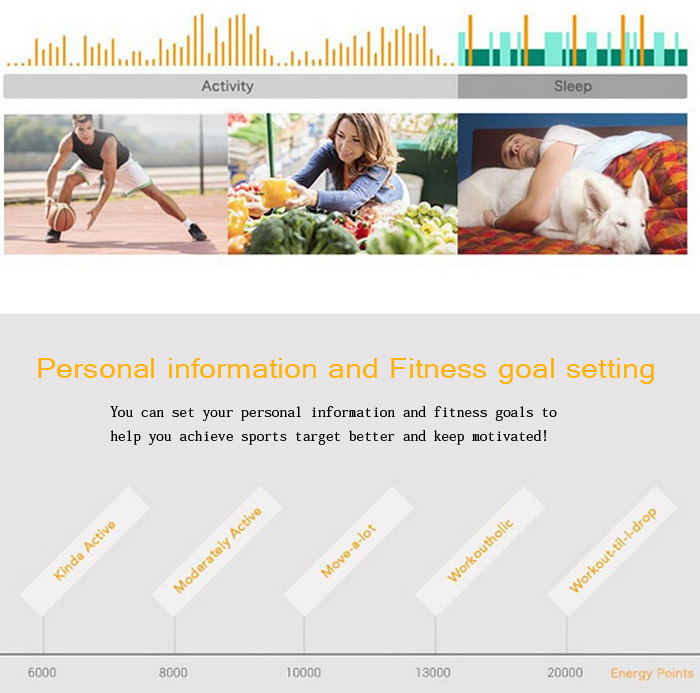 â€¢ Personal information / fitness goal setting: you can set your personal information and fitness goals to help you achieve sports target better. 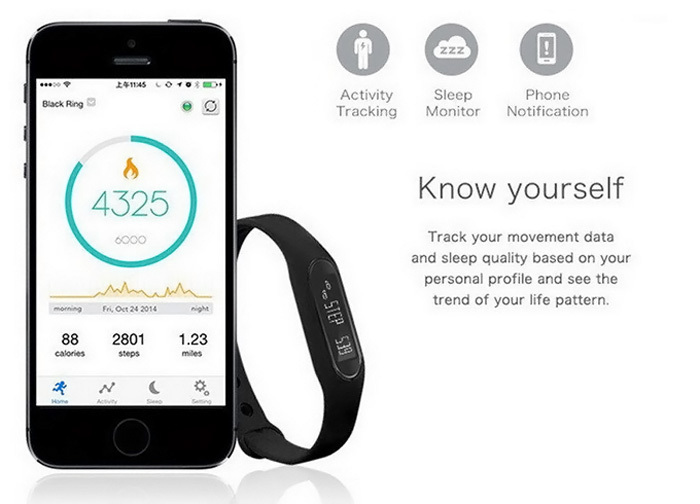 â€¢ Sport / sleep tracking: your health assistant, track your sport and sleep, help you develop good living habits. 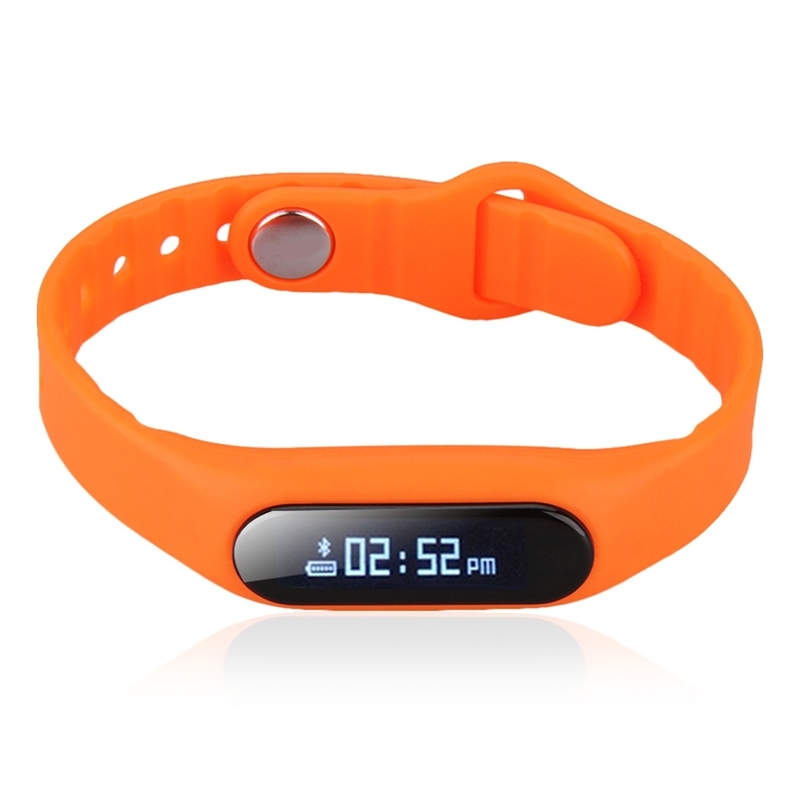 â€¢ Time / date display: display time and date, satisfy your daily needs. 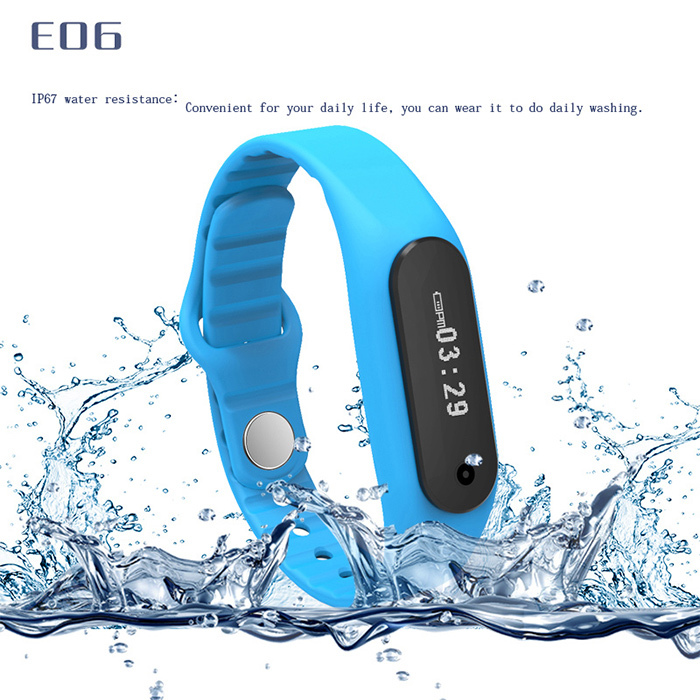 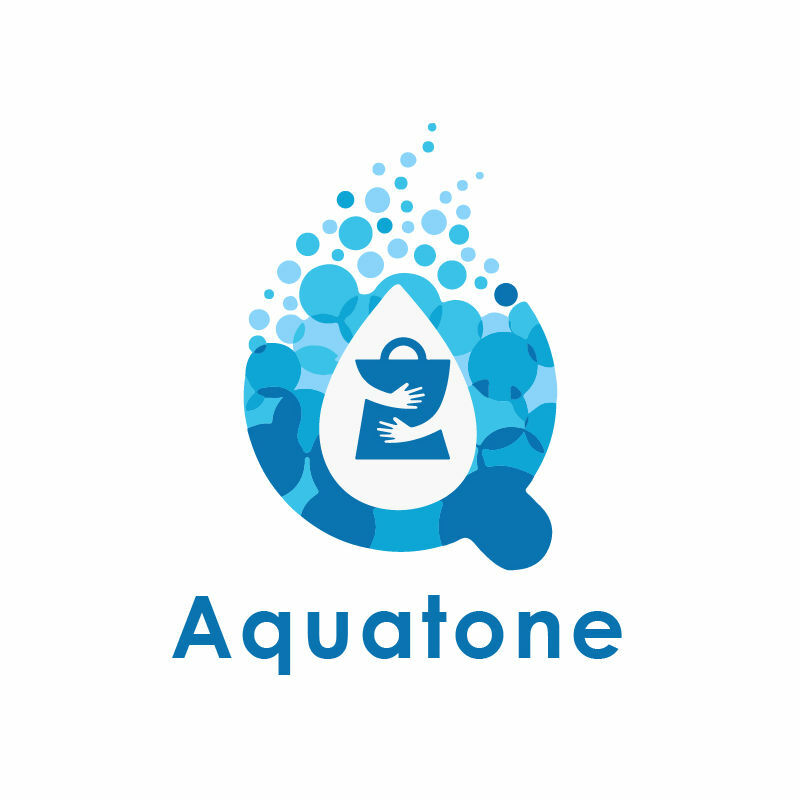 â€¢ IP67 water resistance and dust resistance: convenient for your daily life, you can wear it to do daily washing, such as washing hands and face.